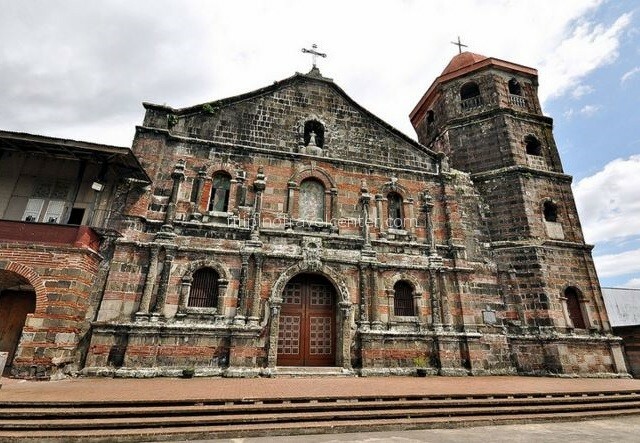 Visit six historical churches as we drive through various cities in the province of Laguna, located approx 2 hours south of Manila. 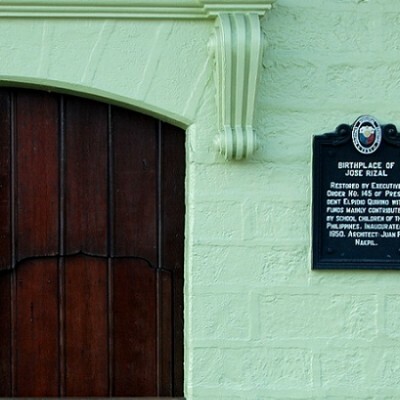 We also stop in Calamba and see the replica of the original two story Spanish colonial style house where Jose P. Rizal, our national hero, was born. 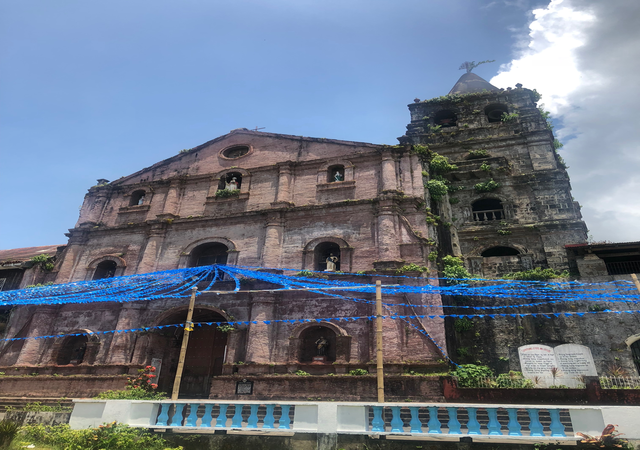 Manila – Jose Rizal Shrine (Calamba) – St. Bartholomew Church (Nagcarlan) – St. John the Baptist Church (Liliw) – St. Mary Magdalene Church (Magdalena) – St. James the Apostles Church (Paete, Laguna) – St. Peter of Alcantara Parish (Pakil) – San Gregorio Magno Parish Church (Majayjay) – Manila. 07:00 am Pick-up from your hotel / home. 09:00 am Estimated arrival time in Calamba, Laguna province where the churches are located. This is a reproduction of the original Spanish Colonial-style, two-storey house where Jose P. Rizal, the national hero of The Philippines was born. 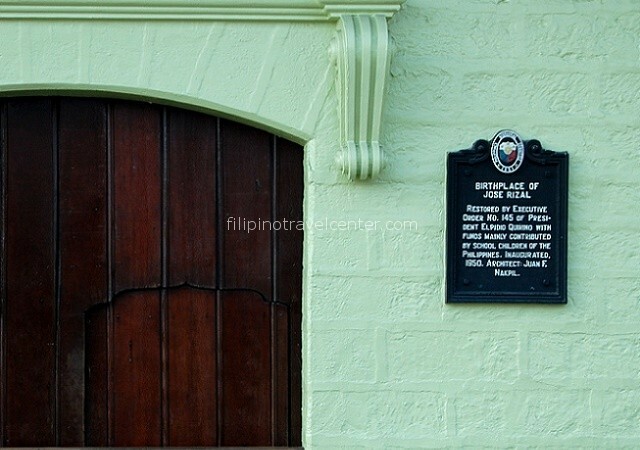 It is designated as a National Shrine by the National Historical Commission of the Philippines. This church is a tiered-wall church created by the Franciscans from 1500 to 1700. A fire destroyed the original church and it was rebuilt in 1781. St. Bartholomew Church was done in Baroque-style. Its facade has a semi-circular arched main entrance flanked by semi-circular windows. Its bell has a Muslim-inspired crenellations. The embellishments of the facade and the side entrances are distinctly Baroque and this impression is enhanced by the play of light and shade among the architectural detals which include tall pedestals which lift the columns on the second level, fenestrations, and columns of varying number and length. These details alters the church’s otherwise-stolid rectangular structure. 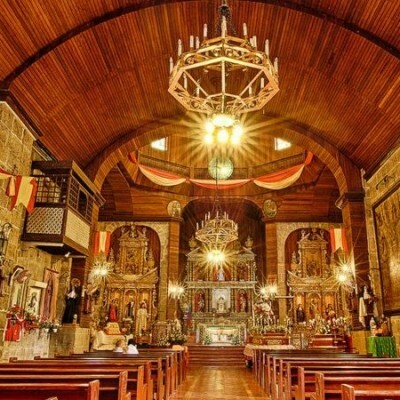 (Filipino: Simbahan ng Parokya ni San Juan Bautista), also known as Liliw Church or Lilio Church, is one of the Roma Catholic churches in Liliw, Laguna, Philippines. Its feast is celebrated every August 29 known as the Martyrdom of St. John the Baptist. The church is known for its red bricked façade and baroque style architecture. 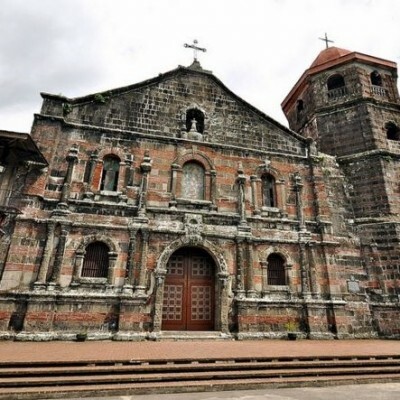 The SAn Gregorio Magno Parish church, also known as Majayjay Church and St Gregory The Great Parich Church, is one of the oldest Roman Catholic churches in the Philippines located in the municipality of Majayjay Laguna. 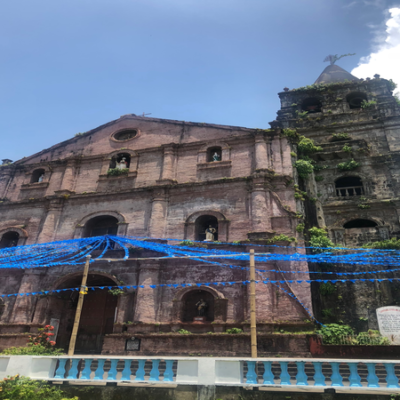 It is one of the 40 Spanish Colonial Churches that has been declares as National Cultural Treasure by the National Commission for culture and the Arts (NCCA). The church are well preserve and framed by palm trees, its three storied building and even taller bell tower are a incredible from the outside. And on the inside, the detailing and gold and red themes in the main panels are dramatic. Another relic of the Franciscan history, the San Gregorio Magno Church or Church of St Gregory the great has been rebuilt 4 times, and the old stones are growing ferns and mosses between them. 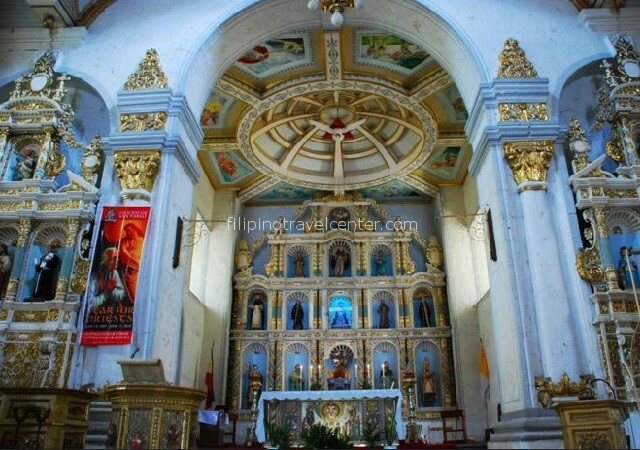 Magdalena, Laguna is the “Home of the Famous St. Mary Magdalene Church.” This church was constructed in 1851-1871. It is made of stones and bricks and has a sandstone facade. 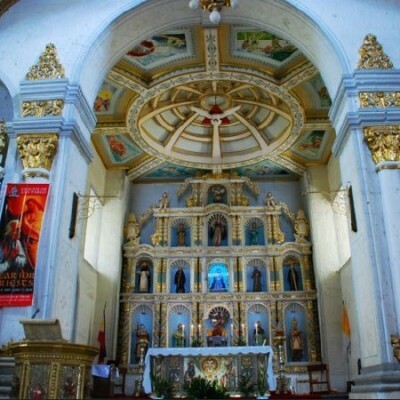 The church is located at the town center or plaza, just across the municipal town hall of Magdalena. When I saw the town plaza and the church’s surroundings, I was very impressed with the beauty and cleanliness of the place. It was also very peaceful and awe-inspiring. 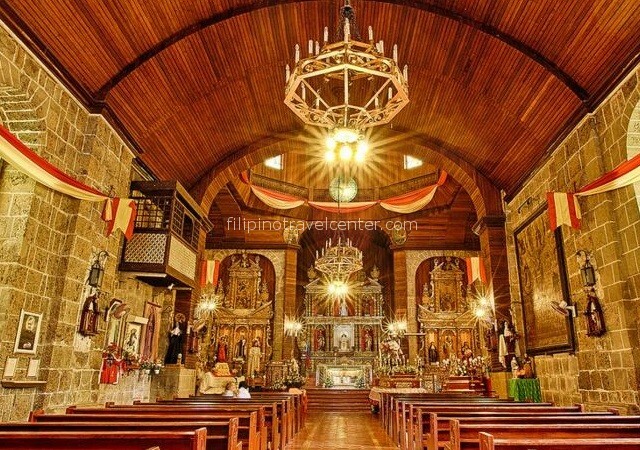 Paete, Laguna, a town famous for its skilled woodcarvers and woodcrafts, was founded in 1580 by the Rev. Juan Plasencia. Its first stone church and convent was built in 1646 but was destroyed in an earthquake in 1717. 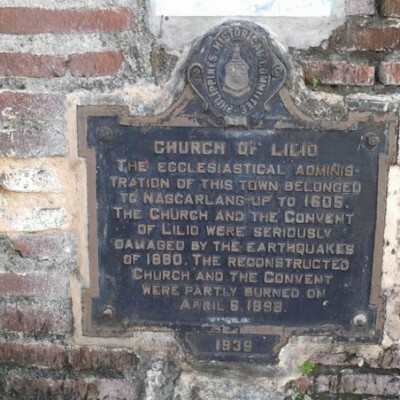 Another church was constructed in 1717 but was also destroyed in the earthquake of 1880. 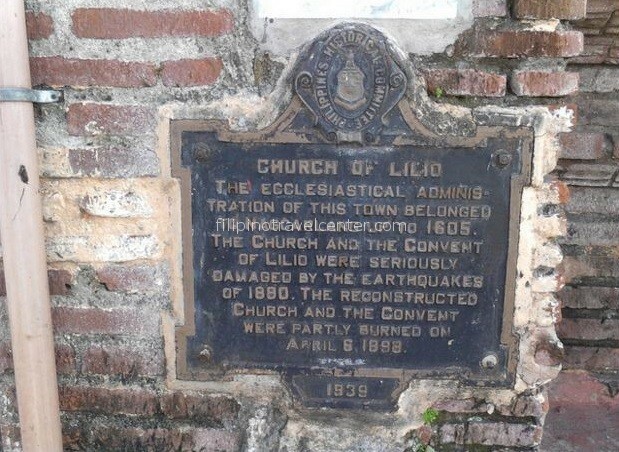 The church built in 1884 was again, destroyed in the earthquake of 1937. At present, buttresses support the church to make it structurally sound. Since the 1970s, the present church has been undergoing restorations and renovations. 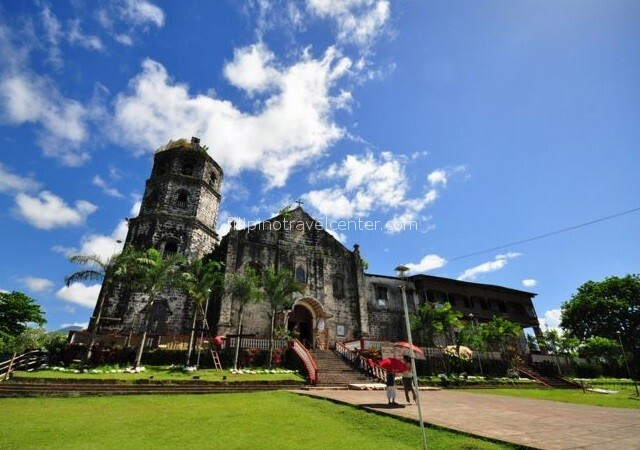 The St. Peter of Alcantara Parish Church (Filipino: Simbahan ng Parokya ni San Pedro Alcantara), designated as the Diocesan Shrine of Nuestra Señora de los Dolores de Turumba, is one of the Roman Catholic churches in Pakil, Laguna, Philippines. The shrine is home to Our Lady of Turumba. Pick up time 07:00 am. Additional Php 500 per way per van applies outside these areas. Drop off time estimated at 19:00 pm. FREE drop-off at your house / hotel in Makati, Taguig, Ermita, Malate and Pasay. – Free pick up from your house / hotel in hotel in Makati, Taguig, Ermita, Malate and Pasay. – Deluxe airconditioned roundtrip transportation with English speaking driver. – Toll & Parking Fee. Subject to change / availability.